Category: Ancient Wisdom, Religion and Spirituality Tags: acheology, biblical, codices, history, jesus, religion, spirituality. In 2007 David and Jennifer Elkington were shown images of a hoard of lead books covered in mysterious symbols and inscriptions, found in a cave in a remote valley in northern Jordan – one of them containing a portrait of Jesus and with seven seals along its side. 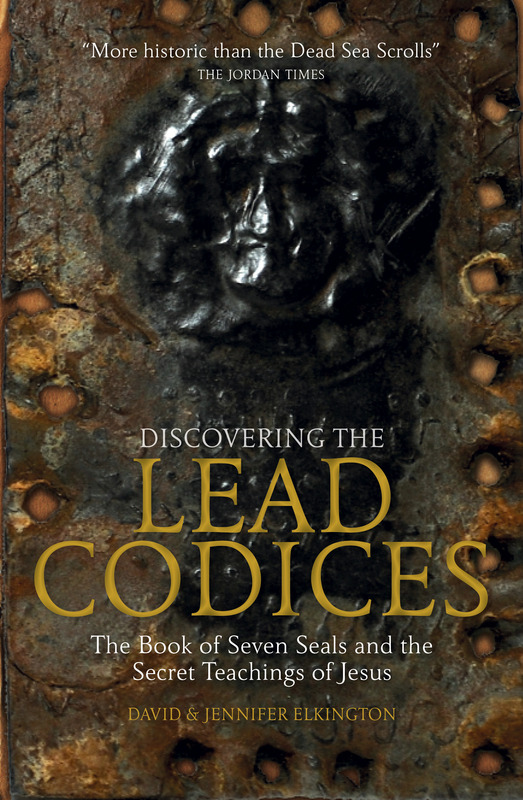 Experts believe these lead codices are the most significant find since the Dead Sea Scrolls were unearthed 60 years ago, forcing scholars to completely rewrite our view of Jesus and the early Church. In their quest to crack the code of the biggest biblical discovery to date, the Elkingtons had their emails hacked, received death threats and feared for their lives. David Elkington is the author of In the Name of the Gods, the acclaimed academic thesis on the resonance and acoustical origins of religion. David is primarily an Egyptologist, specializing in Egypto-Palestinian links that have inevitably drawn him into the field of Biblical studies. Jennifer Elkington was born in Key West, Florida, spending her formative years in Germany before reading Art and European History at the American University in Paris. Jennifer stayed on in Paris working in the arts before relocating to London in 1996, where she worked as a literary publicist.